If you aren't a small child, you probably remember the infamous "how would a dog wear pants?" debate of 2015. Well, whether the world wanted another one of these "brain teasers" or not, Twitter user @bobby has thrown one our way and now we have to sit down and figure out the answer. Bobby took to Twitter on Wednesday morning to ask, "If pants were to wear pants would they wear them like this or like this?" To be honest, both options are just as bad. The reactions on Twitter, however, are pretty great. 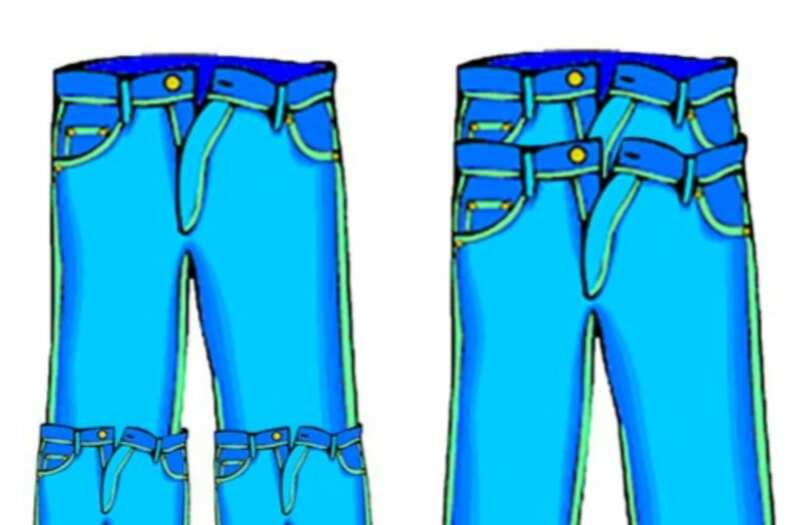 Twitter answers: How would pants wear pants? (extremely teen voice) is this mans seriously talking about PANTS when *googles "what events are happening"* ISIS is happening?? @bobby @GlennF Pants: 2 legs, Humans: 2 legs – They would wear it same like humans, so B. But who cares what they think -- let's settle this issue once and for all, right here, right now.